 T he route stretches within the Parco Naturale Alta Valsesia, starting from Carcoforo. From the entrance of the village, cross the bridge on the Egua, go past the group of new cottages, the larch wood and along the dirt road, used as cross-country ski track in winter. After the mountain pasture "Le Coste”, cross the stream by means of an artificial ford and turn right to take our path, marked by trail sign no. 113. After a long pavement across the larch woods, a series of steps take you to Alpe Fornetto; finally, the path turns right, reaching Alpe Massero and a 2-hour walk leads you to the hut of the Natural Park. After a break, the trek starts again; past the rock spur, enter the valley of the Colle, with parts that are covered in snow for most of the year. The track is unsure at times, but if you keep the col as your reference point, there is no way you can get lost and another 2-hour walk will take you to the final destination where an enchanting landscape will be waiting for you.